A poster has an split instant to share it’s message. The main message should be clear from a distance. The event, occasion or the important message to impart. What? Where? When? read from the other side of the room, in the shop window or on a wall in passing. The supplemental information can be obtained when the poster has done it’s job. The viewer has drawn closer to read the details. 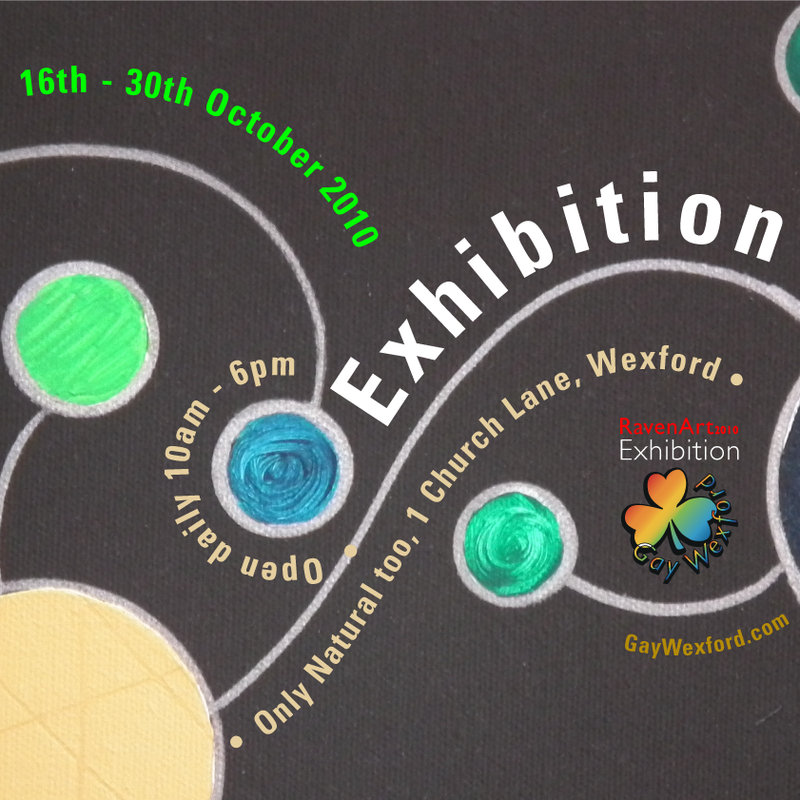 Article on exhibition Posters • Posters: exhibiting the exhibition. Water safety Poster highlighting the dangers of litter on the beach. 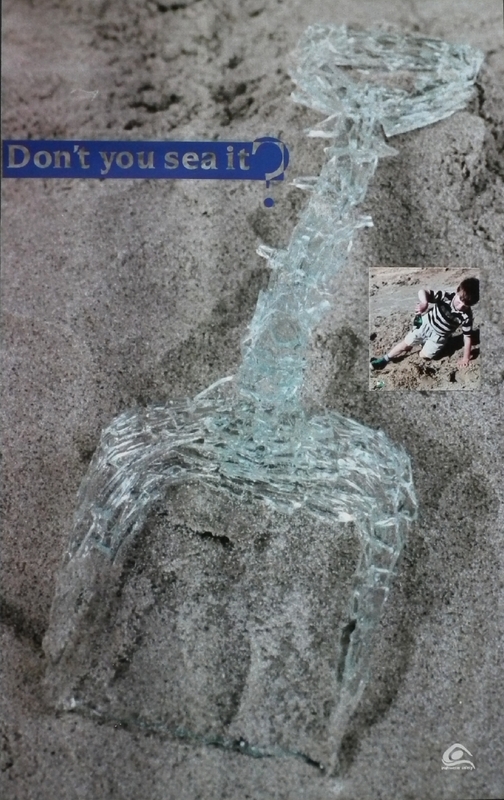 The inset image is a photo taken by a beach guard on duty of a child using a found broken bottle neck as a shovel. Square Exhibition Poster 297mm x 297mm The designer has used a portion of the artists work as a background. The posters text dynamically follows the flow of the painting. The message is kept to the essential information. What? Where? When? Pull up 80 cm x 200cm Banner. 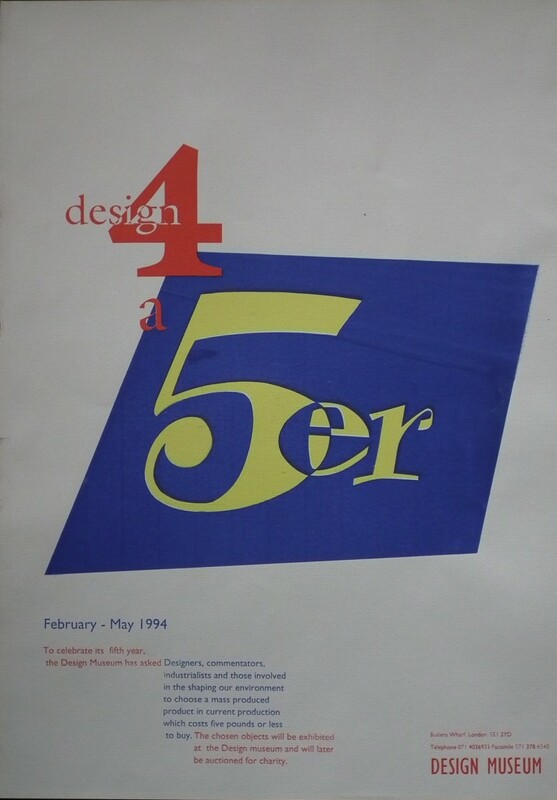 A banner must fulfill a number of criteria similar to that of the poster. When designing a banner we must consider in what context it will be used, free standing or behind a table with supporting information. The GaySE banner was intended to be used behind a desk with additional information. In this instance most likely with out the supervision of a human being. 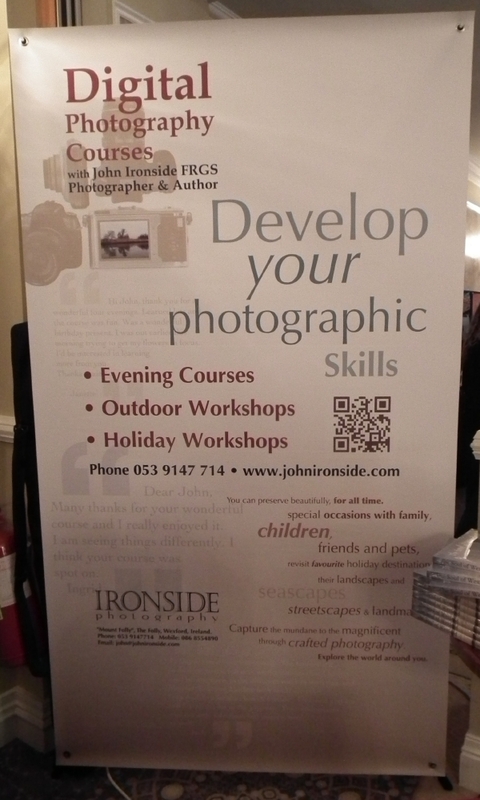 120 cm x 210 cm Banner. It was intended that this banner would be a portion of a stand behind the presenter. The main message is large and can be read from a distance and entices the viewer to come closer and enquire further. Posters ‘n’ doing the tourist thing.